Hartpury College rugby players took their skills and speed to the next level as they faced the stars of the England national side. The squad of 15 students from the Gloucester-based college took part in a training session with Eddie Jones’ senior England side at Pennyhill Park. After a strict breakfast and a briefing from the country’s head coach, they were put through their paces by England and Hartpury’s coaching staff. 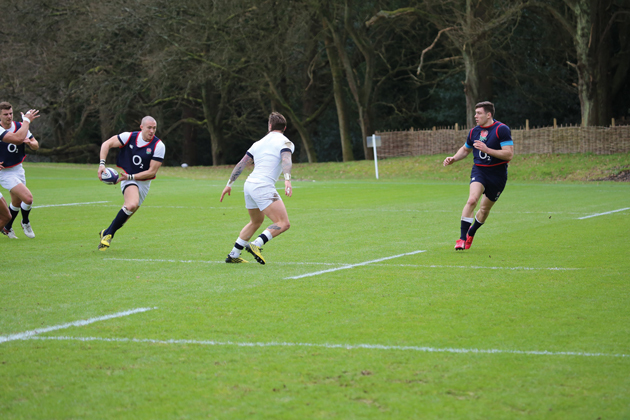 England used the session to prepare for their opening victory in the Calcutta Cup clash with Scotland on 6 February.